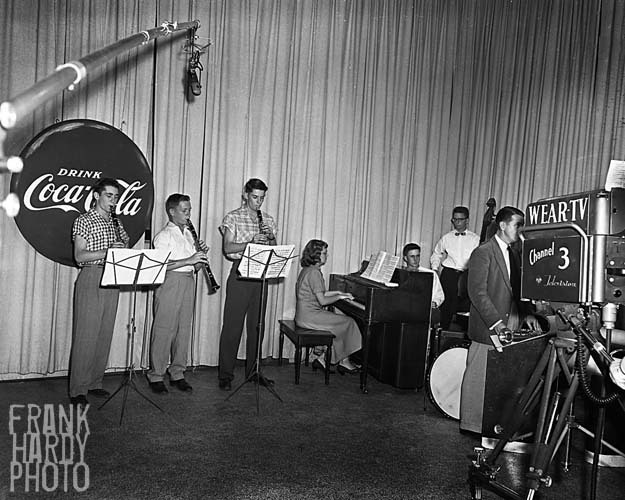 These are all new images from the ” Coca – Cola Show ” that was broadcast from WEAR Channel 3 back in the 1950’s. I ran across them years ago, but they were in such bad condition, I kept putting them aside. So, several weeks ago I started working on them and have gotten a few ready to post here. 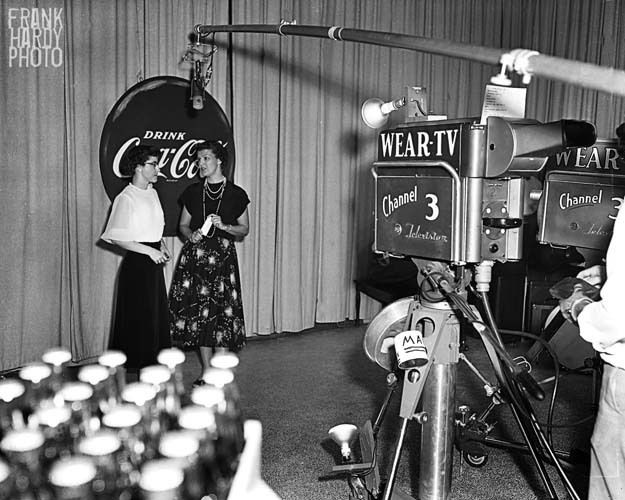 I do not know who any of the people are, as usual, but to look at how far television technology is come is interesting … the guy behind the TV camera looks to have a pie plate or a hub-cap attached to this camera stand for some reason. 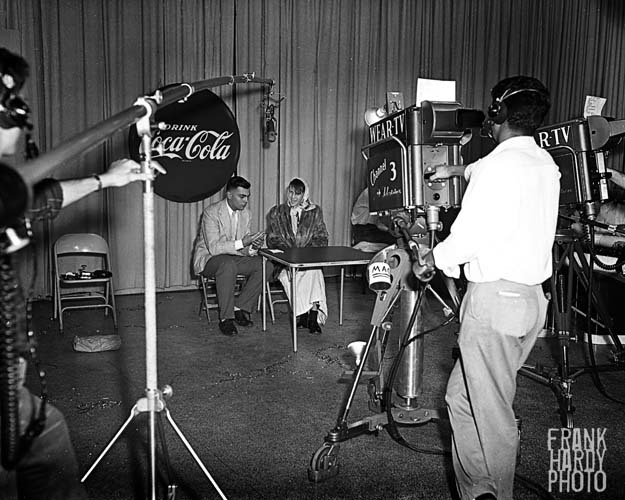 Notice that he has his coffee cup attached to a plate on the tripod in case he gets thirsty and needs a drink. 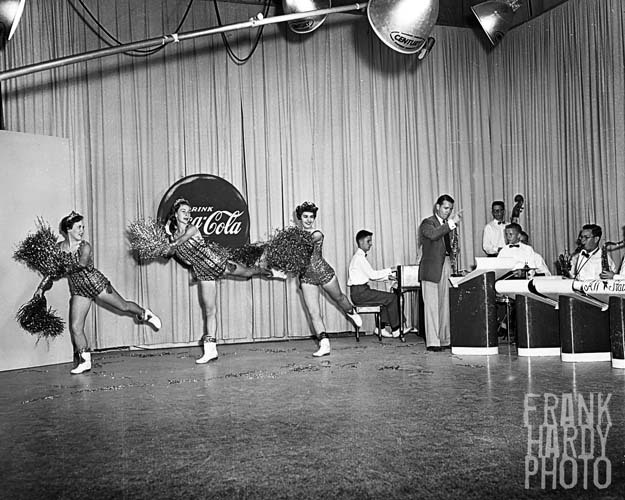 The lady on the right looks vaguely familiar … but I can not put a name to her.